We are Your #1 Source for Custom Buttons in Hamilton with Free Shipping Now! While we are not located within Hamilton, we are Toronto's #1 button making company able to make small and larger orders quickly with fast next-day shipping to Hamilton available. We have years of experience making custom buttons in Hamilton. With robust quality control production, we guarantee that every button you pay for is a button worth wearing and sharing. We offer competitive pricing and high volume pricing with the best customer service. You won't be disappointed. We make custom buttons in various shapes, sizes and finishes! We also make other custom items including keychains, magnets and stickers available too. We also have various finishes available including glossy, matte, glow-in-the-dark and holographic. Packaging and reseller pricing also available! If you are a first-time customer reading this and April has passed, please contact us to get another code! We make quality buttons at affordable prices. Get your art or logo on a button, or have us make something custom for you! Great for events and DIY folks! We'll print and cut your design for you, and you can make the buttons! Custom Vinyl Stickers! 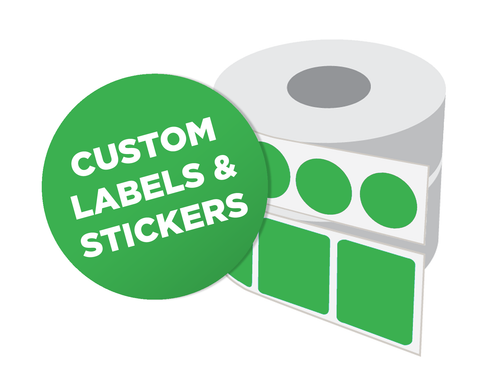 HIgh quality labels and stickers can go anywhere! Custom magnets for the fridge, locker or anywhere you'd like! Pop that top! These sturdy bottle openers can be paired with a keyring for easy portability. Have a cold one - personalized coasters make great gifts and souvenirs! Looking good! Perfect for the purse or pocket. Keep your keys together in style! These make for unique promo items and keepsakes.